Translations that don’t sound like translations! 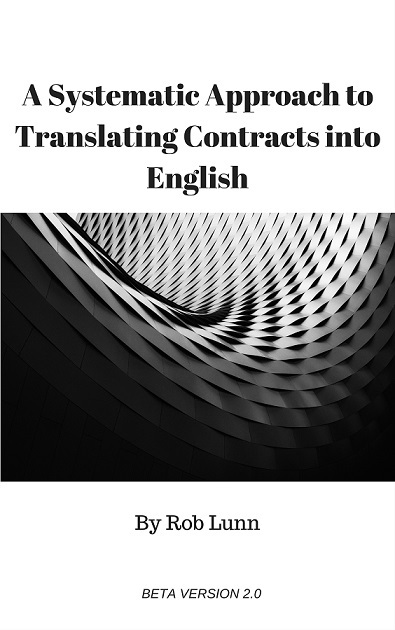 Do you need marketing content translated into English? First of all, what is marketing content? Anything you’d use to communicate with clients. This includes your website, newsletter and blog, but also sales brochures, whitepapers and instruction manuals. Yes, even instruction manuals! Instruction manuals are fantastic marketing content. They leave a long-lasting impression on the customer. They help customers decide what level of quality to associate with your product. So you need to get good translations of them (if, that is, you want them to associate a high level of quality to your product). To make a good impression, translations of your marketing content shouldn’t sound like translations. To achieve this, you need a professional translator. Usually one who is a native speaker of the language being translated into (the target language). Professional translators understand the nuances of the original and know how to achieve the same effect in the translated text. In other words, they know how to convince the world that your company, products or message should be taken seriously. Why should your translator be a native speaker of the target language? This is a good rule of thumb. Native speakers know how to craft a written translation so it has the same effect on the reader. This is extremely hard to do in a foreign language, regardless of how well you speak it. So that’s where I come in. I am a professional translator and a native speaker of English. I also have a lot of experience translating marketing content. How I will translate your marketing content? I probably will have used the second person “you” in the translation even though it wasn’t in the original. “You” creates a more direct connection with the reader. When you read the word “you”, you feel the writer is talking directly to you. Using “you” is widespread in English, especially in marketing content. I may have cut long sentences into a series of shorter ones. Why? Mainly to mimic English, which typically has shorter sentences than Spanish. Short sentences are also easier to understand. I probably will have gone for shorter Germanic words over Latinate terms even though the Latinate terms may look to be closer equivalents to the original. For instance, I might translate obtener as “get” instead of the more similar looking “obtain”. Why? Because Germanic terms are usually easier to understand. They’re shorter and straighter to the point. A telltale sign of a clunky translation from Spanish into English is words like “furthermore” and “moreover” at the beginning of sentences. For example, “Furthermore, our product is …”. You find this type of word at the start of sentences far more often in Romance languages than in English. And you hardly ever see these words on company websites in English. Certain languages love certain words. Spanish, for instance, has a penchant for “develop”, desarrollar, which it uses to mean many more things than “develop” means in English. A lazy English translation might contain lots of “develops” that should have been translated into terms like “put in place”, “carry out” or “build” or “implement”. Desarrollar is a very context-sensitive term. You need to understand the context to work out what English translation you should use. But even then, unless you’re talking about developing software or photos or developing as a person, “develop” is likely to be out of place. So don’t be alarmed if your translation looks quite a bit different from the original. For marketing content to have the desired effect in English, it usually should look different. Above all, it shouldn’t sound like a translation. If you have marketing content you’d like me to translate, call me on +34 657 468 393 or contact me through this form.